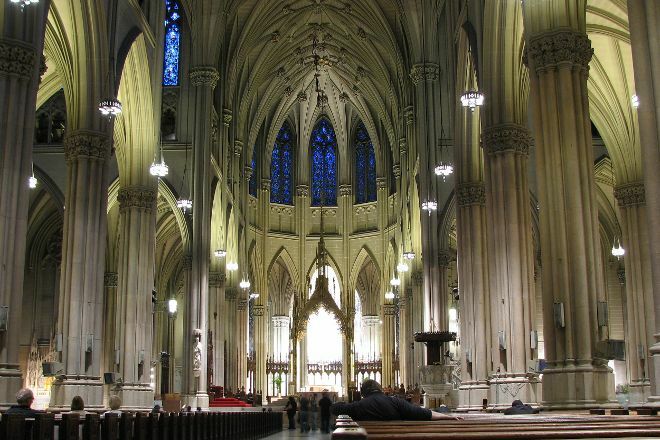 Explore the interior of St. Patrick's Cathedral to witness its altars designed by Tiffany & Co, colorful stained-glass windows, and impressive organs. Featuring 19th-century Gothic Revival construction, this landmark Roman Catholic church takes up a whole city block and can accommodate 2,200 people. The gallery organ has a glorious wood facade and contains 7,855 pipes. Visit the on-site gift shop for religious and spiritual items. such as rosaries, prayer cards, and books. Guided tours and audio tours are available. For St. Patrick's Cathedral and beyond, use our New York City vacation maker to get the most from your New York City vacation. Very reminiscent of the Gothic cathedrals of Paris in your architecture. Great place to meet, even those who are not Catholics. Beautiful stained glass Windows and images and close to other attractions. As an Irish-American Catholic, I have truly come to love coming to St. Patrick's Cathedral. The Priests who preside over the affairs of the Church are excellent and really like to make you feel welcome. Plus the beauty of the Church is just breathtaking and the restoration project has been phenomenal. We've been Parishioners now for a year and a half and there's no other Church that I'd rather be coming to. We love it. Also my daughter can and does pray to Mother Mary. She's getting to be quite the astute adherent. We will keep coming for years to come. 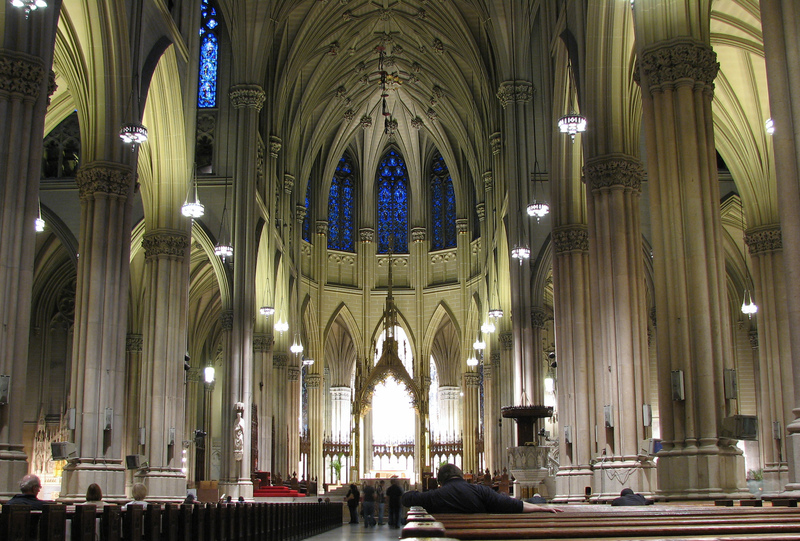 Located on Fifth Avenue 51st street , across from Rockefeller Center, the sanctuary is the largest Gothic Catholic cathedral in the US. This international landmark, dedicated in 1879, welcomes more than five million visitors each year. With its 330-foot spires, it is one of the city’s most spectacular architectural sights. Inside, it boasts a seating capacity of 2,400, numerous altars and stained glass windows, and a giant organ with 7,855 pipes.